Day Cruise on the Southern Great Barrier Reef departing Bundaberg or Town of 1770. Lady Musgrave Island is where Pixar got their inspiration for the Finding Nemo movie. Artist spent many days watching the sealife, taking film, photos and sketches to make the movie more authentic. It is the only island on the WHOLE Great Barrier Reef that has an island and a lagoon that can be navigated by boat. Day cruises include meals, snorkelling equipment, glass bottom boat, guided island tour. Scuba diving, upgrades and camping available. Visit Lady Elliot Island on the Southern Great Barrier Reef departing from Bundaberg, Hervey Bay, Gold Coast or Brisbane, you can fly to Lady Elliot Island for a day trip or longer stay in a variety of Lady Elliot Island reef accommodations. A day trip to Lady Elliot Island includes return scenic flights over the reef, meals, snorkelling gear, towels, complimentary drink & orientation tour, guided activity, glass bottom boat, hot showers, tea and coffee. Pumpkin Island is one of Australia’s best-kept secrets. The Island is the ultimate private getaway for couples, or families. Groups can book the entire island. Pumpkin is nestled in the Southern Great Barrier Reef’s Keppel Group of islands 14 kilometres off the coast of Yeppoon. Maximum 34 people in only 7 self catering cottages. To visit Heron Island on the Southern Great Barrier Reef from Gladstone, you can catch the ferry or fly by helicopter or seaplane to Heron Island and experience the magic of the reef by air. You can book an overnight or longer stay in a variety of Heron Island reef accommodations. Day trips are not available. To visit Great Keppel Island on the Southern Great Barrier Reef from Yeppoon (Rockhampton), you can catch the 30 minute ferry to Great Keppel Island for a day, overnight or longer stay in a variety of Great Keppel Island holiday accommodations. 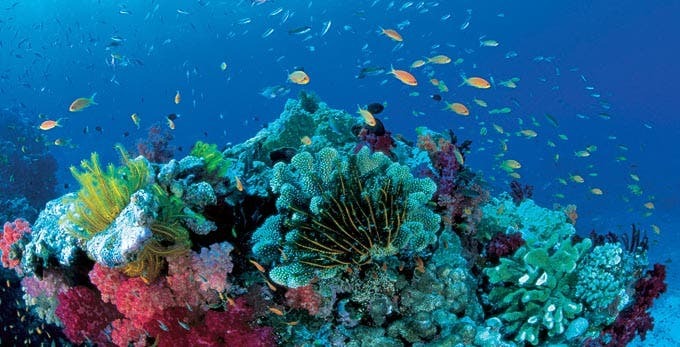 WE CAN ALSO BOOK CAIRNS REEF TRIPS, FRASER ISLAND TOURS, WHITSUNDAYS AND ENTIRE EAST COAST PACKAGES! The 1770 Great Barrier Reef Tour company, 1770 Undersea Adventures, is no longer offering scuba diving on the Great Barrier Reef from the Town of 1770 and Agnes Water. The liveaboard (overnight) trips throughout the area of Lady Musgrave Island, Hoskyn Island, Fairfax Island, Fitzroy Reef, Llewelyn Reef, Boult Reef and the wrecks of MV Karma and Cetacea are unavailable. Overnight trips are available on Lady Elliot Island, Heron Island and Great Keppel Island. 1770 Great Barrier Reef Tours Reef Jet Cruises is no longer offering day trips or scuba diving at Fitzroy Island on the Great Barrier Reef, or Pancake Creek from the Town of 1770 and Agnes Water.